Conservation is the key term in reference to motion activated recording. In the following article, we'll take a look at how digital video security and surveillance systems go about doing this and why conservation is a key term associated with this type of monitoring. Conservation is the key term in reference to motion activated recording. In the following article, we’ll take a look at how digital video security and surveillance systems go about doing this and why conservation is a key term associated with this type of monitoring. Digital video camera security systems can initiate motion activated recording in different ways. One of the most common ways to provide motion activated recording is to use a digital video camera with a built-in motion detector. 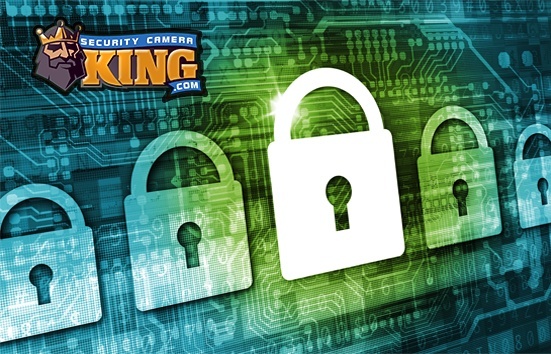 Digital video security cameras equipped with motion detectors begin recording video when motion is detected and stop when motion is either no longer detected or after a designated (pre-programmed) time period. 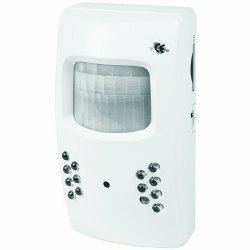 The motion detector itself is called a PIR or Passive InfraRed sensor. This sensor constantly monitors the passive infrared signature of the camera’s field of vision. When a significant change in this infrared signature occurs (such as when a person, vehicle, or other object passes by) the PIR interprets this change in the infrared signature as motion. One of the biggest benefits of PIR motion activated recording is conservation of digital video security system resources. For example a typical motion activated recording system may have one or more motion activated digital video cameras, a Digital Video Recorder or DVR with a Digital Signal Processor or DSP, and an optional monitor. The DVR usually consists of a hard disk drive, like the one in most personal computers and in miniature systems may consist of SD cards, small Integrated Circuit (IC) chips, or other portable non-volatile media. Even though technology advancements are yielding larger capacity and more efficient storage devices, regardless of the type of storage on the DVR, the capacity is still finite. Furthermore, the digital video files created by the cameras and stored on the DVRs are extremely large files. To keep file sizes as small as possible without losing significant quality, COmpression/DECompression or CODEC utilities are used. These utilities may be in the form of software or a hard-wired IC chip. CODECs greatly improve the storage capacity of any given drive, conserving on system memory. This is important because whenever storage capacity is reached, the newest digital video files are re-recorded over older digital video files. If the files are archived before hand the data could be lost. There are several ways of improving efficiency in addition to using a CODEC. A larger capacity storage medium can also increase re-recording loop times, handle multiple camera recordings at once, and provide storage space for software programs and other necessary binary information. Another way to greatly improve the storage capacity and efficiency of the camera-DVR relationship is to only record what is necessary. PIR motion activated recordings or PIR motion detector cameras do exactly that. By recording video only when motion is detected, a tremendous amount of memory on the storage medium is conserved. For some applications, motion detection would only be detected if there is a breach in security (banks and retail stores after hours for example) and this could mean no need to record for days or even months. Memory is not the only resource that is conserved by motion activated recording cameras. Many users these days prefer the use of totally wireless cameras. These cameras send their digital video data via radio signals to a corresponding receiver that is connected to the DVR or to a DVR with a built in receiver. However, these cameras still require a power source which indicates the use of some sort of power supply carried by a wire to the camera – unless the camera is battery operated. Battery operated cameras may use standard one-time use batteries or rechargeable batteries. Regardless of the type of battery, motion activated recording drastically conserves battery power as the PIR sensor demands a very small drain on the camera batteries as does digital video recording.